Don't have a pizza oven? Turn your grill into an outdoor pizza oven with one of these 4 easy ways. Your grill isn't just for steaks and burgers, you can use your grill to make mouth watering pizzas, desserts, and even biscuits and breads. 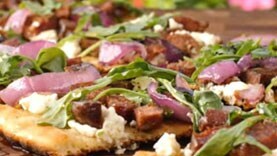 Make restaurant style pizza right in your very backyard, and you won't ever order take out again. 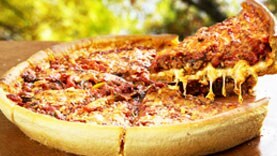 Discover more pizza recipes, as well as other quick and easy meals you can make on your grill on our recipes page. You've investigated different ways to make pizza on your grill, but nothing beats the real thing. 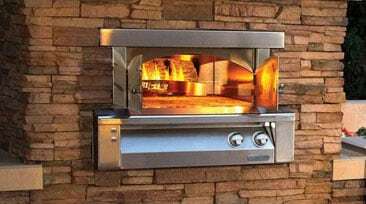 Having a pizza oven in your outdoor kitchen is just as good at being at the best pizzeria in town. 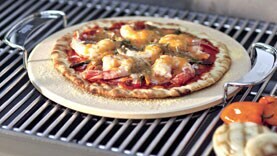 BBQGuys offers a large selection of Wood Burning, Gas, and Pellet Pizza Ovens.